Trust Agent Green to Keep You Comfortable! Why Choose Air On Demand? Our unique Price First Pricing© policy ensures you know exactly how much every service we provide will cost, without any hidden surprises. Once you work with Air On Demand for heating and air conditioning in Miami, you will never want to hire anyone else – our expertise; years of devotion to top tier customer service, and deep understanding of the unique challenges of Miami’s climate make us the perfect fit for your home. Ready to experience the ultimate comfort from your Miami air conditioning or heating system? Don’t delay – call Air On Demand today. Our commitment to energy efficient, green heating and cooling combined with our years of experience working with area families makes us the perfect fit for any Air Conditioning job, small or large. At Air On Demand all of our HVAC technicians are valued members of our team. They are all non–commissioned, and at Air On Demand we offer straight foward pricing. Our technicians have pre–printed price books so you always know you are getting the fairest price. Our employees go through rigorous screening and are trained to offer you the best possible service for your air conditioning and heating needs. Why Call Air On Demand for AC Repair & Service in Miami? Since 2001 Air On Demand has been the #1 choice for AC repair in Miami, FL. Not only are our technicians highly trained and experienced to work with many different air conditioning brands and system types, but they're also a pleasure to work with. Take a look at our reviews on Google to see why so many customers have rated us as a 5-star company. We've also received an A+ rating with the Better Business Bureau and are HomeAdvisor Screened & Approved. When you work with the air conditioning pros at Air On Demand, you can rest assured that you're working with a team that cares. If you've worked with Air On Demand in the past we'd love to hear from you. Leave a review to let us know how we did! Air conditioning systems are just as prone to breaking down as any other system. That’s why it’s so important that you have a professional contractor you trust to handle any issues your air conditioner may have. For comprehensive AC repair in Miami and the surrounding areas, contact our pros. All you need to do is give us a call, and we’ll get your system back in proper shape before you know it. The best way to keep your Miami air conditioner in good condition for as long as possible is to schedule air conditioning maintenance services. This allows your expert technician to find and fix any developing problems in your air conditioner before they have a chance to do any serious damage. Consistent air conditioning maintenance will go a long way towards extending your air conditioner’s effective lifespan. You need to find the best professional contractor you can to install your air conditioner for you. Proper air conditioning installation will help give your new AC the perfect start to its years of service. That’s why we provide comprehensive air conditioning installation services in Miami and the surrounding area. Sooner or later, you’re going to need to replace your air conditioner with a new system. 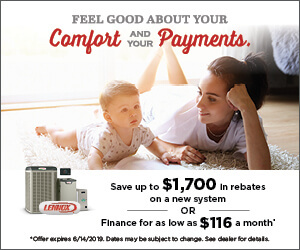 If you’re in the market for a new AC, you’ve come to the right place! We offer comprehensive AC replacement services throughout Miami, FL and the surrounding area. No matter what kind of new air conditioner you’re looking for, we can take care of it for you. Strange noises from your air conditioner should always be investigated. Your AC works tirelessly throughout the year, so there’s no better time than spring to slow down and ensure that everything is still running the way it should.